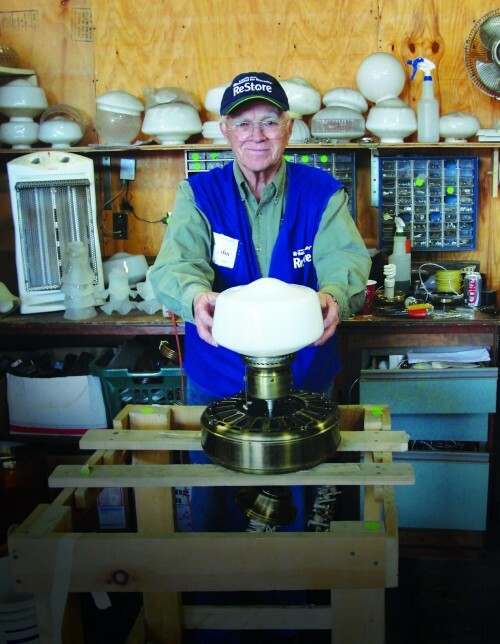 BECOME A HABITAT RESTORE VOLUNTEER TODAY! Are you looking for a way to get involved with Habitat for Humanity of Lincoln but construction is not the right fit? Or do you want to get involved in watching your carbon footprint? Volunteering at the Habitat Lincoln ReStore is a great way to support the Habitat mission and give back to your community. Before volunteering at the ReStore, each interested volunteer must participate in an orientation. Orientations are held on Wednesday mornings at 10:30 AM and Saturday mornings at 9:30 AM. Orientation will take about an hour and is used to introduce new volunteers to the ReStore, provide safety training and familiarize them with basic ReStore policies and job duties. Each volunteer task is important to the success of our mission to build more affordable homes in Lancaster County. If you have more questions on volunteering at the Habitat ReStore, please call (402) 464-0010.